Price, as they say, is determined on the margins. This is especially true for inelastic goods. If 100 Tickle Me Elmo dolls exist in Walmart on Christmas eve, and 100 people absolutely need to have them, you don’t have a problem. The price will be some reasonable markup on the cost of production. However, if one more person walks in fearing the wrath of his child if there’s no Elmo under the tree, Walmart can quickly turn into a war zone. In Walmart, this supply shortage might be settled by shoving and hair pulling. In a civilized market, this supply, demand inequity is settled with price. In the case of Elmo in 1996, some dolls were reportedly sold in after markets for $1500. This is an important concept to keep in mind when evaluating the silver market. Silver is interesting because it is actually two different markets. On one hand, silver is a physical commodity that is used in industry or warehoused as physical savings. This market is rather inelastic on the supply and demand side as I will discuss in a bit. On the other hand is the silver derivatives market, paper contracts for silver, that set the spot price on the margins. The paper market is elastic and depends more on investor psychology than underlying fundamentals. First the physical market. Each year, new silver is dug out of the ground and added to supply. A higher silver price causes an increase in silver production, but that increase is constrained due to the time it takes to bring new production on line and the fact that 70% of silver production comes as a relatively small byproduct of mining other metals. Government sales and recycling add about 25% to the physical supply in 2010, but those factors are only loosely correlated with price. On the demand side, industrial applications make up nearly half of the demand. For many of these applications, such as electronics, coatings, anti-microbial uses, etc., the amount of silver in the final product is a tiny fraction of the product cost, thus a rise in the silver price does not affect its usage. For demand components such as jewelry, coins, and physical bar investment, a rising price can actually add to the desirability of these goods. As such, the supply and demand of physical silver is very insensitive to price as I explain further in my article, “The Top 10 Reasons Silver Will Soar”. Now for the paper market. Like all commodity futures markets, the silver futures market has its roots in providing a legitimate market function. A silver miner, for instance, may sell futures to lock in prices and pay for capital equipment. On the other side of the trade, an electronics manufacturer may buy futures to lock in their costs for silver they intend to use in the future. And like other commodities, the silver futures market provides speculators a convenient way to bet on the future price of silver without having to ship the stuff around. This speculation through commodities derivatives is not always a bad thing as it can add liquidity to markets and can help with price discovery. But in the case of silver, the derivatives market has gotten way out of hand to the point of distorting true price discovery. Some market watchers believe there has been manipulation by banks with huge short positions, such as J.P. Morgan. Some, like Eric Sprott, suggest that the CME Group’s odd behavior, such as raising margins two days after the silver price had just dropped by 22% is holding down the price to help the commercial shorts. Regardless of whether you believe these “conspiracy” theories, in the long run, it doesn’t matter. The important thing to realize, is that the silver derivatives market, like all derivatives markets, is based on leverage, confidence and promises. The main way the futures market keeps down the spot price of silver is by greatly adding to the supply of silver for investment. Take the example of the COMEX which currently has 102,516 open interest contracts (512 million ounces) promised for future delivery. This compares to roughly 117 million ounces of physical silver available for investment in 2010 (Mine supplies 736 + recycling 215 + gov’t. sales 45 – fabrication 879 = 117Moz.) Shorts have promised to deliver over four times the amount of physical silver available per year. In other words, demand for silver investment at today’s price is much higher than actual supply. This works fine as long as long as futures investors don’t take physical delivery. Shorts can simply settle the contract for the cash value and everybody’s happy. If a small amount of investors stand for delivery, the shorts can transfer silver from their accounts at the COMEX or buy silver on the open market. However, as more investors stand for physical delivery, things can get dicey. “My opinion is very simple as a fiduciary… to the extent that you own gold and you are going to own it a long time –it’s not a trade. It costs us about 90 basis points a year to roll it through financial futures contracts,” he said. Mr. Bass was discussing the gold futures market, but the same dynamics apply to the silver market. With silver at $33 one big fish like Bass (pun intended) could take down 30 million ounces with his billion dollars, which is 80% the entire amount of registered silver at the COMEX. Thanks, give me the silver! 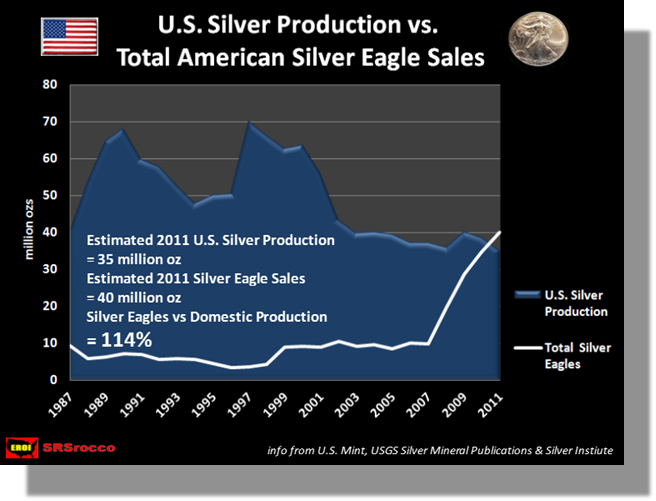 For the past 30 years, governments have been selling their silver stockpiles into the markets, thus adding to supply. These stockpiles are basically depleted and governments are likely to become net buyers of silver. Photographic demand, which has been decreasing for the past decade is becoming a less significant part of demand and will soon cease to be a driver of silver demand trends. Also, as most photographic silver is recycled, photographic use approaching zero means less recycling supply moving forward. Similarly, A steady decline in silverware demand is also reaching its lower bounds and at some point will cease to be a negative driver of silver demand trends. During silver’s bull market from 2001 to 2010, mine supply increased by 2.2% per year, from 606 to 736 million ounces. However, demand from industrial uses (from which the majority of silver cannot be recycled at anywhere near today’s price) increased 3.7% per year from 350 to 487 million ounces. The trends discussed above are enough to show that we will reach a point at some time in the future where fabrication demand exceeds supply. But it is the investment trends discussed below that I believe will bring us to a supply/demand crunch much sooner than (almost) anyone expects. Silver coin sales are skyrocketing. During the early 2000s, global coin sales were stable at around 35-40 million ounces. Then from 2007 to 2010 coin sales increased 38% per year to 101Moz. and show no signs of having slowed for 2011. Physical coin sale could soon eat up the entire bullion supply. Silver coins are not recycled because the coin value is higher than the melt value. In case you are wondering if this trend can continue, keep in mind that 100Moz. equates to 1/68th of a coin for each person on the planet. Chinese investment demand is “going parabolic” and the Chinese people seem to prefer physical. In the COMEX futures markets, the multiple margin hikes by the CME in 2011 shook out a bunch of weak longs which drove down the price but decreased leverage and formed a stronger foundation for future price advances. Eric Sprott’s fund PSLV recently completed a secondary offering deal which will remove 10.6 million ounces of physical silver worth about $350m from the market. This is part of would could eventually become a $1.5B offering so it looks like he’s determined to break the paper market’s back. And perhaps the beginning of the end for the futures market was the bankruptcy of MF Global. From that we learned that the regulators will twist bankruptcy rules to put big banks such as J.P. Morgan ahead of regular investors. We learned new buzzwords like re-hypothecation and co-mingling. We learned that leveraged accounts aren’t safe and we learned that even investors who owned allocated physical bars of gold with listed serial numbers can see those bars confiscated and chopped up for distribution by a bankruptcy judge. These were valuable lessons which caused many futures investors to decrease their leverage, increase their due diligence regarding their broker, or get out of the futures markets all together and get in to physical. As physical silver is removed from the foundation of the paper market, leverage will increase until a leveraged short can’t get the silver and defaults on his contract. That’s when promises are broken, confidence turns to panic, and the leveraged derivatives house of cards comes toppling down. To continue my multiple metaphors, that’s when the derivatives dam breaks. That’s the 101st Elmo buyer entering Walmart with a thousand determined shoppers close behind him. That’s what folks like Ray Kurzweil might call “the singularity”. It’s the point when all hell breaks loose and things go hyperbolic. The stampede for physical silver will begin. Paper futures contract holders will increasingly stand for physical delivery, creating the ultimate short squeeze as paper shorts frantically try to acquire physical metal that is nowhere to be found to cover their positions. Manufacturers who use silver in their products will scramble to secure physical silver supply lines to prevent their manufacturing lines from grinding to a halt, buying up anything and everything they can get their hands on. Governments who have been net sellers of silver for the past 30 years and now have virtually no silver stocks, will be competing to increase their sovereign stockpiles of this strategically critical element at any price. The general investing public will become fully aware of the incredible supply and demand story for silver that had been hidden under the surface by the murky layer of paper scum, and dive in to get a piece of the action. In the words of that COMEX manager, “price will solve everything.” Indeed. A much, much higher price. [A note to investors: I lump the ETF SLV into the paper silver market category. Perhaps I’m being paranoid and perhaps they really do have all of the silver they claim to have with no other claims on that silver. But, many respected silver experts who are much more knowledgable than I, believe that the SLV is simply another form of leveraged paper silver and when push comes to shove, SLV owners might not actually own the silver they think they own. I’d rather not take the chance and instead own physical silver. The one distinction I would make is that I believe Eric Sprott’s PSLV is a trusted way to own physical silver in an ETF. I especially like it due to the favorable tax treatment it receives compared to physical silver or the SLV. After the MF Global scandal, the premium for PSLV climbed to 30% above net asset value. (This demonstrates just how much confidence is eroding in paper silver.) As discussed above, on January 17, 2012, PSLV announced a follow on offer to add about 50% to their silver holdings. This crashed the premium and as of 1/17/12 the premium is at an historically low 6.4%. This entry was posted in Investing and tagged COMEX, Eric Sprott, physical silver, PSLV, silver, singularity, supply and demand. Bookmark the permalink. 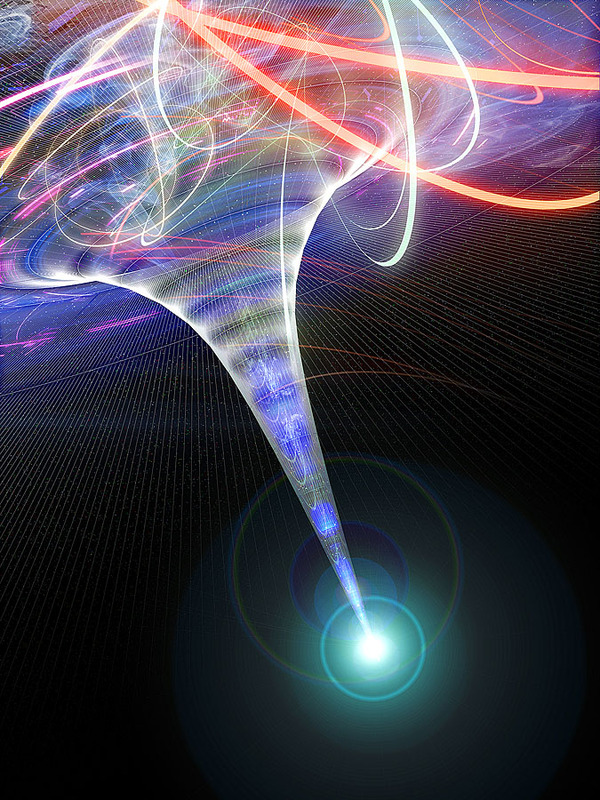 I read in great interest your article “The Silver Singularity Is Near’ . This article is accurate and well written however I have strong reservations of the obvious failure to give any credit to Ted Butler and Jason Hommel who are the original and peristent authors of this very information. For years on end they were the lone and mostly ignored voices of this manipulated and undervalued silver market. Ted Butler single handedly instigated several investigations by criminal CFTC into the manipulation of Silver on the COMEX. All you have done is meld the work of these brave individuals to make his story, add a few updates, and then give them no credit for their original, tireless and acurate work. Ted Butler and Jason Hommel (not to mention GATA) do great work and have certainly been at this a lot longer than I have. As have dozens of other excellent analysts in the precious metals and macro-econ sectors. I’d like to thank them all for their insights and helping to educate me on the silver market. While it’s impractical to acknowledge all those who have influenced me in every article, I will continue to attribute direct quotes or ideas to their originators, and try to present new (and old) data in original ways to help improve understanding for silver investors. Thanks for reading. nice. I think you’ll like that trade. If the PSLV premium gets back up to 30 I may swap for SLV in my retirement account (no tax considerations) to play the premium spread. Or I may just stick with PSLV for the long haul to reduce counter party risk. Whilst this is admirable, just pray that your broker does not go belly up, because I will guarantee you that your broker uses another broker/bank in the US or Canada to sponsor your holdings if you are in Australia. This back room commercial arrangement between your broker and the overseas bank/broker likely contains margin holdings of others into those offshore markets as well, and your fully paid stock will not be differentiated from the margined stocks. OOps ..Bottom line – if the overseas broker want to sell the stocks to get their margin debt back in event of an equity crash – yours will be sold as well – it wont matter if the PSLV is 10 times more valuable than when you bought it. And you will end up with whatever cents in the dollar are left that the overseas broker hands back to your broker. The ONLY means of protecting yourself is direct company sponsored holding – not via a broker, or ultimately your own physical bullion in your own safe.